The first part of the course is in the classroom to learn how to use your compass and read various maps. Then we hit the field to navigate outside! The class the fee is $25 and is a donation to AlphaSAR. Please arrive by 7:45 AM so you can get checked in and settled. The class starts promptly at 8am. Note pad & writing utensil. If you have a particular map that you would like to talk about, bring it and we'll see if we can fit it into the conversation. General maps for the class will be provided. We're finalizing the location but likely we'll start at the Friendswood fire department for the classroom setting and then go to Challenger 7 park for the field work. "Highly qualified volunteers dedicated to finding the missing. An all volunteer search and rescue team based Houston, TX. 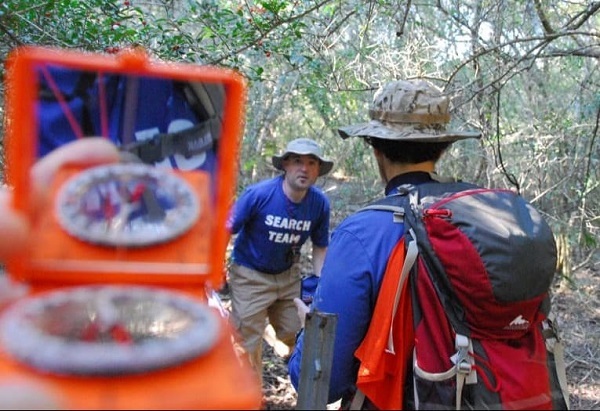 Alpha Search and Recovery team members are all volunteers, who dedicate their own time and resources to locating missing persons. All Alpha SAR members receive training in all areas involved in effective and cooperative search and rescue teams. Team members are trained in Incident Command System, which is part of the National Incident Management System used by FEMA and most branches of the Federal Government. Having members trained in ICS and NIMS allows the team to efficiently partner with other government agencies for searches and disaster relief. Team members are also trained to become a SARTech II as outlined by the National Association of Search And Rescue. All training is provided to Alpha SAR members and member candidates free of charge."